First place in the group for El Salvador’s Oliver Mendoza in the initial stage of the Junior Boys’ Singles event when play concluded on the second day of action, Thursday 9th February, at the 2017 Central American Under 15 and Under 18 Championships in Guatemala. It was as expected, he started proceedings as the top seed; it was the very same for the leading name in the initial phase of the Junior Girls’ Singles competition, the host nation’s Lucia Cordero duly secured pole position. Similarly, in the Junior Boys’ Singles competition, Oscar Villalta, like Oliver Mendoza, also from El Salvador and the no.2 seed, remained unbeaten, to secure first place in his group. It was the same for Nicaragua’s Gary Castro, the no.5 seed but not in the remaining groups where surprise names ended the day at the head of the list. Guatemala’s Gian Luca Rivera and Handel Saguil alongside Costa Rica’s Gersom Carballo and Nicargua’s Denilson Castellon emerged as surprise group winners, as did the Mexican duo of Diego Fuentes and Mikael Muñoz. Surprises, it was much less pronounced in the first stage of the Junior Girls’ Singles event. Guatemala’s Paula Acevedo was the one surprise name to secure top place. Otherwise in the remaining six groups, status prevailed. Additional to Lucia Cordero, El Salvador’s Keren Bolaños, Cecilia Orantes and Gabriela Romero ended the day unbeaten and thus in first place, as did Guatemala’s Hidalynn Zapata and Mexico’s Ingrid Gama. 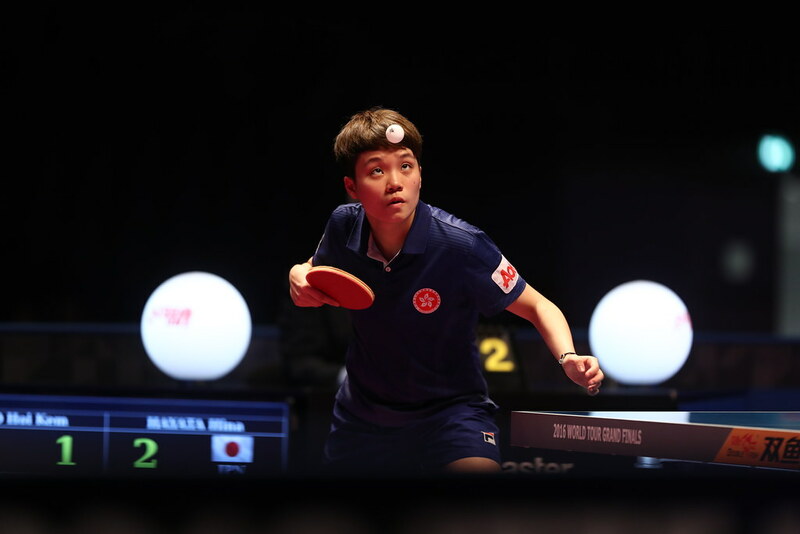 Meanwhile, in both the Cadet Boys’ Singles and Cadet Girls’ Singles events, there were surprise names at the head of the merit order. Mexico’s Dario Arce and Panama’s Jacobo Vahnish, the respective top two seeds in the Under 15 Boys’ Singles event, duly finished in first places without great alarm, as did Costa Rica’s Ricardo Azofeia, the no.6 seed and Mexico’s Alberto Lopez, the no.8 seed. However, in the four remaining groups, unexpected names claimed first place. Guatemala’s Diego de la Cruz, Kevin Ruano and Otto Ramirez all ended the day as surprise group winners as did Costa Rica’s Alfredo Sanchez. Likewise, in the Under 15 Girls’ Singles competition, surprise names topped the list. There were first places for El Salvador’s Monica Mendoza, Guatemala’s Mercedes Mendizabal and Mexico’s Clio Barcenas as anticipated but in the other four groups surprise names headed the list. Mexico’s Ana Magaña and Monica Muñoz alongside Guatemala’s Jenny Cox and Julieta Estrada secured first places in their respective groups. Players finishing in first and second positions in each group in an all four events advance to the main draw.